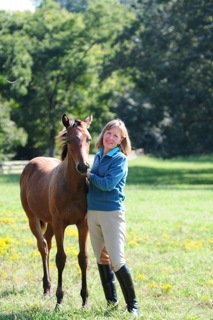 Melanie Smith-Taylor is an amazing horse woman. When I first met her, I was nervous because I knew she was a legend and after sitting down with her and visiting with her, I realized she is also one of the kindest, warm, interesting and fun people I have ever met. She had been a fierce competitor in her competition days, being the first woman to prove women could compete equally against men on horseback in competitions, she is still one of only 2 riders in history to win the “Triple Crown of Show Jumping” which includes the American Invitational, the International Jumping Derby and the American Gold Cup, and on top of that she was the only one that did it on one horse, Calypso. Calypso is also the same horse that she won a team Pan Am Games Gold and an individual Bronze medal in the 1980 Olympics where all Olympics equestrian competitors held an alternate competition due to the Olympic boycott. To top it all, she was named the Sportswoman of the Year after winning the World Cup Final in 1982. Needless to say, she has credibility. Her journey since her competition days has been a very interesting one and is the very reason she is one the Greats of Horsemanship featured on Clinic Horsemanship. She is incredibly humble about her accomplishments and her talent as a Clinician but she has something very special about her that makes people want to do well for her and she always seems to get horses and riders in a better place by the end of her lessons. After her competition career, she spent the next 20 years with her husband, Lee Taylor on their farm in Germantown, TN called Wildwood Farm. They raised thoroughbreds together and he introduced her to Ray Hunt and Buck Brannaman. They would bring Ray and Buck in to help start their young TB colts and she happily shares the warm memories of getting on those young horses with her husband, friends and staff and how much she enjoyed working with horses in new and different ways. Sadly in December of 2005, Lee passed away. To honor his memory, she vowed to forge on with their dream of a Horsemanship Foundation program, TaylorMade Horsemanship. Even though it was a pilot program, it was brilliant, and I am so pleased to bring it to all of you. You will see how she brought some amazing people together to work with all different levels of riders to better their skills and understand their horses more clearly. Even more, her program truly transformed horses and riders over a 4 day period and inspired riders to be better horsemen and women and instilled the desire to understand and help their horses.